What is HAARP? Below you will find an explanation about that! Nicola Tesla was the mastermind behind a lot of technology that is kept away from the common people, because he threatened to undermine many revenue models. 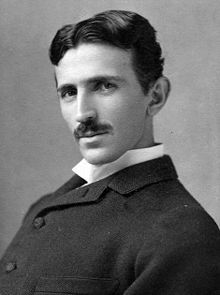 Nicola Tesla, for example, was able to move electricity wirelessly from a to b via the ionosphere, which would enable everyone in the world to have free electricity. When his investor JP Morgan discovered this, the experiment was sabotaged. Nicola Tesla was also the inventor of what is now called HAARP. America has declared Tesla crazy at the end of his life and confiscated almost all of his patents. The HAARP complex is located in the Alaskan forests. According to the Pentagon, HAARP is an innocent scientific research center, but according to many experts, this is America's secret weapon that has been used for years to get areas under control. Let me list a few things: Haiti earthquake ( see here ), the Fukushima earthquake and the recent earthquake in Iran . Large forest fires, such as those in Australia and Russia, also have the goal of putting governments under pressure to dance mainly to the pipes of America. Droughts are easy to create with HAARP just like hurricanes. It is always striking that the American troops are immediately ready to intervene in such calamities. Haiti was not only destroyed with this weapon. The American troops had already practiced the invasion beforehand. The scenario was completely finished. And after the earthquake, Bill Clinton and George Bush (junior) came to collect billions of euros for Haiti, which then never ended up in the population. But what is that actually that HAARP antenna system and is it really a weapon or is it (as claimed) a research setup? HAARP stands for High Active Auroral frequence Research Project. Or the project that is concerned with influencing the electromagnetic protective layer around the earth at various frequencies. With the HAARP system you can generate very low sound waves. Think of the strings of a guitar. The lowest tone (the low E string) vibrates in a visible vibration while the higher tones produce a much smaller vibration. Sound is in fact a wave movement (watch this video ). By reflecting very low-frequency sound waves in the atmosphere, you can generate an earthquake. These low frequency radio waves work like a box of your sound set on a glass of water. The low bass (for people inaudible) is set to the resonant frequency of the earth. If you allow this radio wave to reflect on the atmosphere (angle of incidence = exit angle), you can aim it at an earthquake fault line. Why are noise barriers along a fast road? Well with sound, it actually works the same as with sunlight on a mirror. It reflects. So you can use the atmosphere as a 'sound mirror' for these low sound waves. And if this sound is exactly on a frequency at which the earth resonates (= sound waves reinforce each other because they have the same wavelength), then you trigger an earthquake. 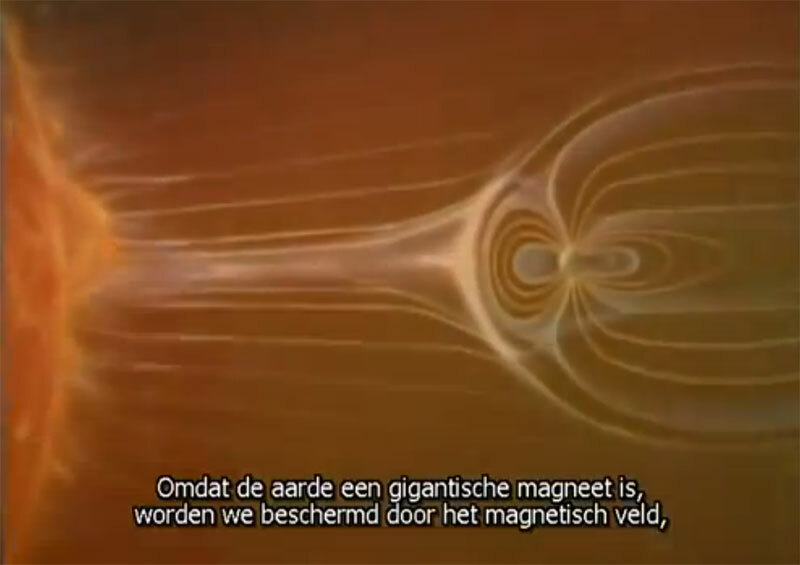 The earth is surrounded by an electromagnetic field. This electromagnetic field is partly generated by the rotation of the earth in combination with the composition of the earth. HAARP can in fact do what a microwave can do; send electromagnetism into the atmosphere. You could also do this with your microwave if you leave the door open when you switch it on. Fortunately, this is secured, otherwise you would cook your brain. By focusing an electromagnetic beam on the ionosphere you can realize a weakening of the electromagnetic field of the earth at one specific location. This allows you to actually allow the effect of a solar storm. That solar radiation is constantly there. If you then weaken the electromagnetic shield locally, you can so allowing a solar storm on an area selected by you. The extent to which you weaken the electromagnetic field determines the impact. In fact you can ensure that all electricity and communication fail, but you can also allow a radiation that is so high that the effect is greater than an atomic bomb. All that unrest about nuclear weapons in Iran or North Korea is therefore completely unnecessary. America (and now probably also Russia and China) have HAARP systems, with which they can prevent a launch from taking place at all. Moreover, with the principle just described, they can completely disarm an entire country without the use of nuclear weapons. Forget about the threat of nuclear weapons. It is not there. HAARP surpasses everything. Each rocket that soars up in North Korea is because America allows this (HAARP not deployed), so that an attack on this " dangerous rogue state " in public opinion is justified. By emitting electromagnetic radiation into the atmosphere (to a lesser extent than described above) you can also influence airflows. In fact, you can heat up parts in the atmosphere, so that you completely regulate the circulation of the airflows. If you combine this with chemtrails (with which you can build clouds, among other things) you can build beautiful weather as well as hurricanes. Hurricanes Katrina ( here ) and Sandy ( here ) were then also well timed hurricanes. The first served as a test for Homeland Security to be able to enroll and disarm people en masse. The second had a double goal: another test for Homeland Security and the FEMA camps and the pushing of Obama in the elections. How does that work? As everyone knows, hot air and cold air is rising. For example, by heating a spot in the atmosphere, you can ensure that you create a kind of 'draft' like you have in a pipe of an open fire. 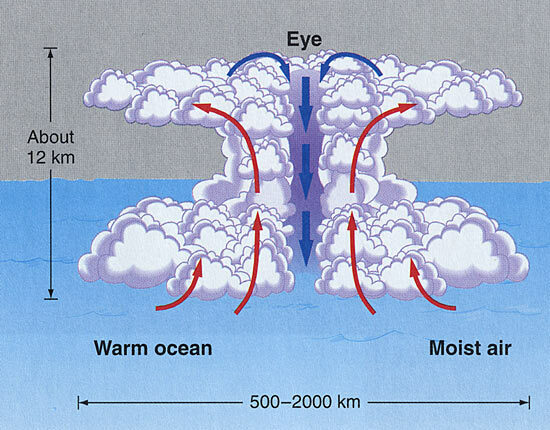 You can create such a violent upward flow of air through extreme heating of a certain area to create a hurricane. By heating other points on the route of the hurricane you pull that hurricane in a desired direction, as it were. You can therefore build and steer a hurricane. Of course I sketch it here simply, because it is really a whole science that mainly uses the ocean and already active cells that can be strengthened to hurricane power. And in the case of a hurricane the cold airflow falls downwards in the core. It is therefore not easy, but something they have mastered. Another part of the HAARP system is influencing the human psyche by addressing the frequency range of the brainwaves. To get a good understanding of this I first ask you to read this article ( see here ). In fact, it means that your brain has a certain electromagnetic radiation on their environment. Conversely, the environment also has an effect on your brain. With your brain you can operate equipment in the future without having to use your hands. Conversely, the equipment can also influence your brain activity. What you do not know is that this is already the case. You are constantly in a 'soup' of influence ( see also here ). I will not go too far about it, but it is, for example, at least notable that the telecommunication frequencies of our mobile networks are in the area where our brains operate. HAARP therefore does not even have to play such a prominent role in this. We already have the telecom networks for this. But it is in any case a deployable and well-orientated tool (mind control weapon). You can draw the conclusions yourself. As I mentioned in this article it seems that the war against Iran and therefore a third world war is lurking. In fact, this war has already begun. I dare to claim that HAARP was used to trigger the earthquake of 16 April last . Of course it is only one of the many weapons that are used, but because 90% of the world population does not think of a weapon in an earthquake, 90% of the world does not see that the war has already started. I wanted to explain it to you.